Solr Push Connector provides a near real-time free-text search solution which can be integrated really easy on any website or application. You can start with one machine and scale to hundreds. This is a two-way connector which integrates Oracle database with Solr/Lucene search engine. - Send data to the Solr out-of-the-box installation via JSON over HTTP. - Consumes data during query time with new SQL operators and functions. 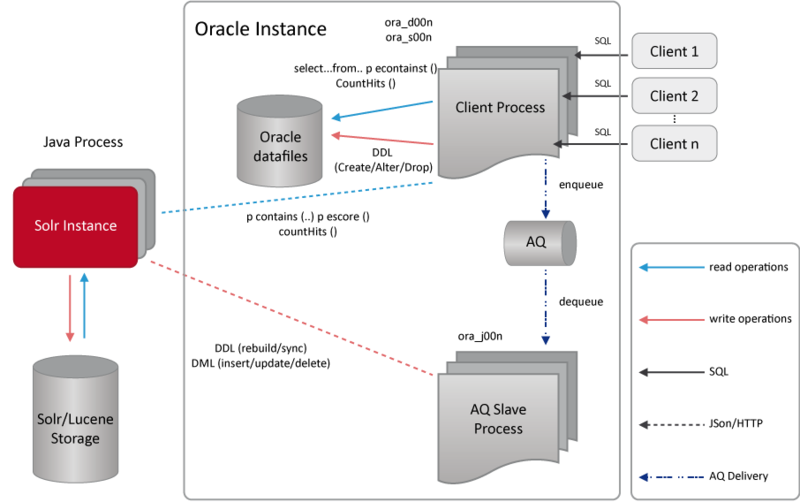 This connector does not require the Oracle internal JVM since it is developed completely on PL/SQL. It also works on Oracle 10g express, 10g standard and Enterprise Edition and obviously with any 11g installation. » Which Scotas product fits your needs?